After the disappointing previous instalment in 2014, the idea of another Annabelle film seemed as unnecessary as most cheap horror title sequels. 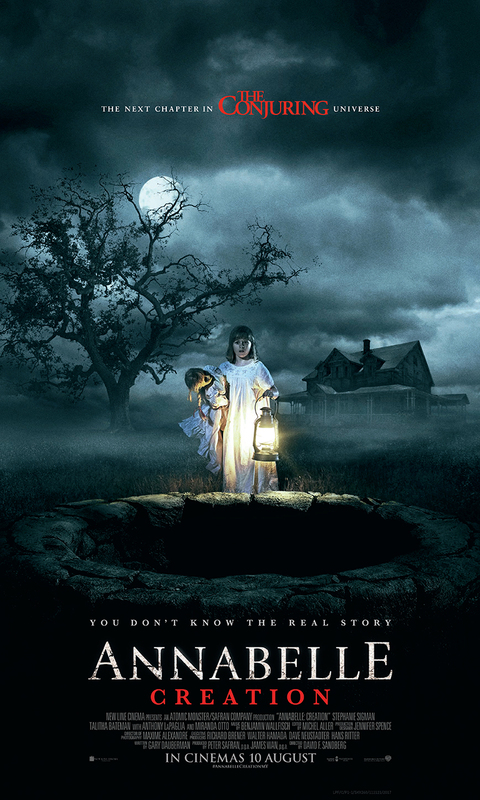 But under the direction of David F. Sandberg who’s done a great job with his original horror flick Lights Out (2016), Annabelle: Creation is massive improvement from its predecessor and manages to form interesting links to The Conjuring Universe (yes, it’s now a film series franchise like MCU, DCEU, MonsterVerse and Dark Universe). 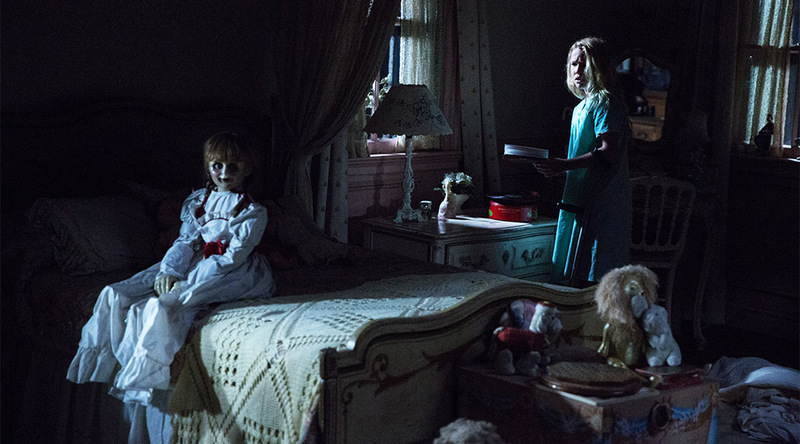 Prequel to the last one (which was also a spinoff prequel to The Conjuring), Annabelle: Creation tells the story of the actual origins of the titular possessed doll. A nun (Stephanie Sigman) and her group of young orphans move in to the home of the dollmaker (Anthony LaPaglia) whose daughter died from an accident 12 years ago. The orphans, particularly Janice (Talitha Bateman) who has polio, begin experiencing some strange activities within the house revolving around the doll. Hide-and-seek, paper notes, stair lift, creepy old rendition of You Are My Sunshine — the film sets up plenty of things at the beginning to play around with to scare the viewers later while developing its main characters who’re performed engagingly by the cast, especially Bateman and Lulu Wilson (who plays Janice’s best friend Linda). Backed by cool camera works that James Wan can be proud of and not to mention some Insidious elements, the film offers plenty of effective scares and thrills — not just blatant loud jump scares, thankfully (though many of them are already shown in the trailers). It gets more and more intense which starts from spooky night teases to daylight hostility, to a point where I don’t even try to hold my breath as it’s constantly terrifying. On top of that, the doll itself, that never moves on its own, is actually really scary this time, almost just like how it’s supposed to be. Written by Gary Dauberman who wrote the previous film’s script, the film does have flaws in the plot while failing to follow through its own rules and backstory, which makes certain things a little confusing at time. The film also doesn’t quite escape the typical tropes of the genre — rural outskirt, haunted house with a barn and a well, supernatural beings just fooling around and not doing much until the final act, illogical bravery and stupidity (that made me questioned, “But why would anyone do that? !”), etc. However, despite all these problems, Annabelle: Creation is a lot of fun to watch. Post-credit scene: There’s a mid and a post-credit scene. Neither one is worth waiting for so I’ll just tell you what they show — [spoilers] Mid-credit: Annabelle doll’s head moves to look at the camera; Post-credit: just some candle lights blown out in a church in Romania, teasing the next spinoff-instalment The Nun which will feature Valak from The Conjuring 2. Malaysian censorship: Despite its P13 rating here, the film manages to get away with a couple of pretty graphic images uncut. Second opinion: My friend, Henry, felt that the film is slow at the beginning and although it gets better as it goes, it’s still not as scary as he was expecting it to be. My other friend, Ryan, said that “only the gore was slightly shocking”. Verdict: Flawed but scarily fun. Far better than its predecessor for sure.